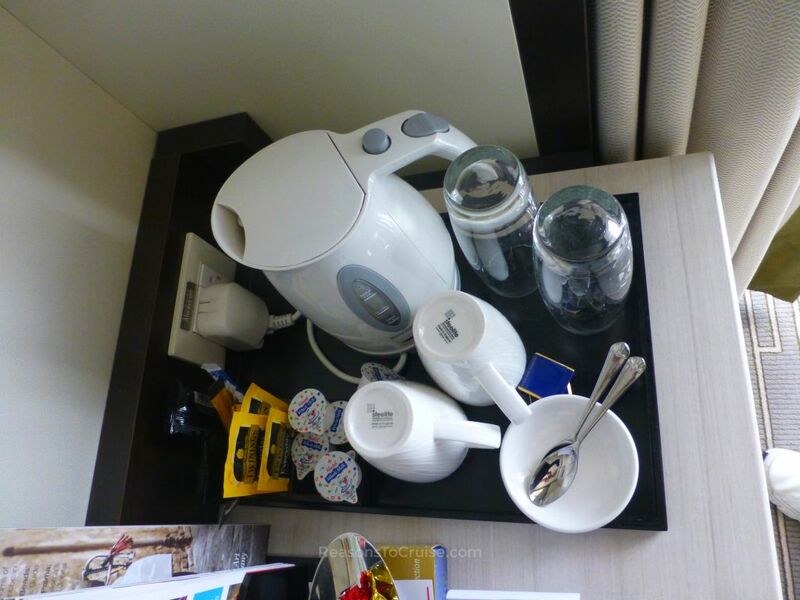 Evidently, little gets the press and travel agents more excited than the brand of tea that features in cruise cabins. The most noticeable aspect of the coverage of Thomson's TUI Discovery launch was the sachets of Yorkshire Tea in the cabin. This month, MSC Cruises reignited the age old debate of which brand is best by giving the public the choice of PG Tips, Tetley, Twinings, and Yorkshire Tea for its "Britification" of MSC Magnifica in 2018. To encourage more Brits to try the Italian cruise line, the ship will receive a stock of British staples ahead of its sailings: Kettles in cabins; British TV channels; British newspapers; British and Irish beer and cider in the bars; British condiments; roast dinner and curry in the buffet; afternoon tea; and British-orientated entertainment led by a British Cruise Director. It looks like MSC Cruises may give P&O Cruises and Royal Caribbean a run for their money when it comes to catering to Brits on sailings out of Southampton. Also vying for more Brits is Norwegian Cruise Line, which unveiled its Premium All-Inclusive package this month. It is available as standard on all UK bookings. It includes a selection of premium alcoholic and non-alcoholic drinks in all bars, lounges and dining venues. Kids benefit from unlimited juices, water and soft drinks. Coffee lovers will appreciate the inclusive Lavazza coffee during meals. One free bottle of water per person per day will appear in the cabin. The most notable of the inclusions are the services charges and gratuities. Many Brits do not realise these are payable onboard and often seek to remove them. Including them in the price is a smart move by the cruise line. Norwegian Jade emerged from a dry-dock makeover ahead of her Summer season in Southampton. The 11-year-old ship now features a modern décor, along with two new restaurants, O’Sheehan’s Bar & Grill and The Pit Stop. Looking ahead to 2018, NCL also revealed its Broadway-style show on Norwegian Bliss is Jersey Boys. The cruise line is also working on an original Cuban-inspired Broadway-style musical production show to run alongside. Silversea's latest ship, Silver Muse, was christened in Monaco. Performances by the Sinfonietta Orchestra of Rome and violinist Charlie Siem added to the occasion. The 596-passenger ship is the latest luxury cruise ship to launch. Lucky members of the press and trade put the ship through its paces ahead of the christening ceremony. CroisiEurope inaugurated their new vessel, MS Miguel Torga, in Porto. 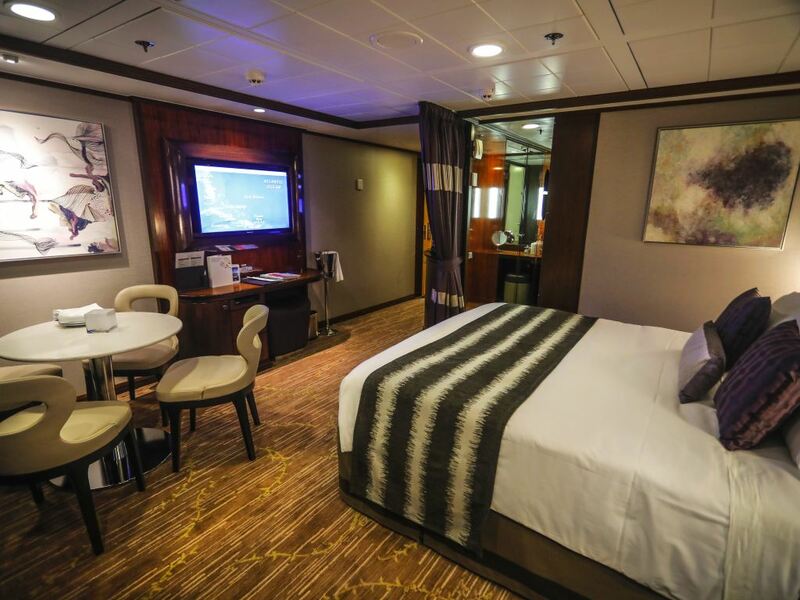 The 80-metre long, three-deck ship, furnished and decorated in Strasbourg, can accommodate 132 passengers. 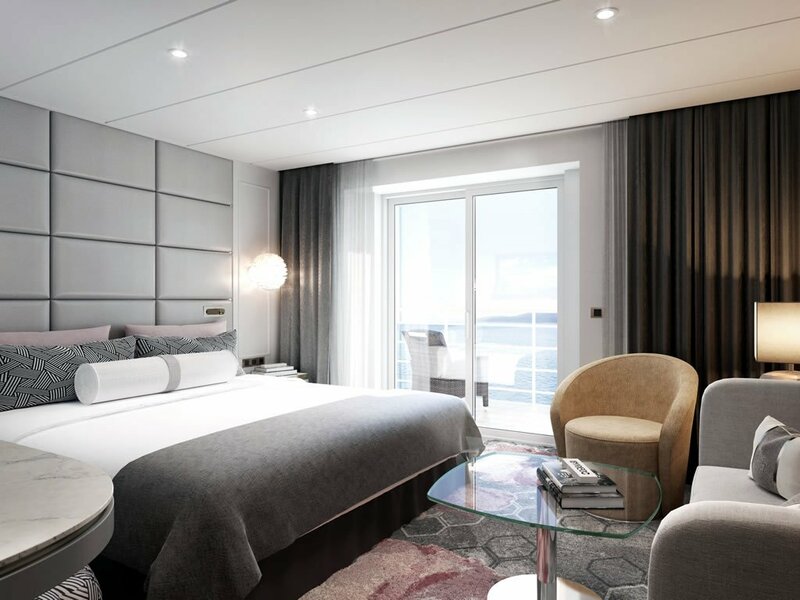 Crystal Cruises is an unstoppable force at the moment, with rapid expansion plans well under way. Now, it is turning its sights on Crystal Symphony and Crystal Serenity. Both ships will benefit from new butler-serviced Penthouses and Penthouse Suites. The Crystal Dining Room will become Waterside, following the successful concept on Crystal River Cruises' Crystal Mozart. Expect to see more tables for two and four, and a move to anytime dining instead of assigned seating and reservations. The Lido Café will become the Marketplace by day and Churrascaria by night. Expect casual buffet-style breakfast and lunch options, and Brazilian-inspired tapas, ceviche, salads and grilled seafood and meats by night. Silk is a new restaurant offering Chinese-inspired dishes, including family-style dinner plates for sharing. Master Chef Nobu Matsuhisa's Silk Road and The Sushi Bar will rebrand as Umi Uma. Guests will benefit from improved unlimited complimentary Wi-Fi. A shipboard mobile app, Crystal Connect, will also launch. Crystal Symphony will receive the upgrades in September 2017, while Crystal Serenity will wait a year and receive them in October 2018. Viking Ocean Cruises has ordered two new ships to join its six already ordered. The vessels will join the fleet in 2021 and 2022. Circus Roncalli will become the first European circus to perform on Hapag-Lloyd's EUROPA 2 this year. Guests will witness nostalgic costumes, acrobatics, and juggling. There will be two performances, one focussing on traditional elements while the other delivers a modern interpretation of circus arts. The Circus will perform on the 30 June 2017 and 1 August 2017 sailings. Princess Cruises has recruited TV personality Phillip Schofield to become the line's first brand ambassador in the UK. He will travel on Royal Princess in the Mediterranean this spring with a film crew. FC Barcelona Soccer Legend Hristo Stoichkov will sail on MSC Divina for a football themed Caribbean cruise in May 2017. The seven-night sailing will sail from Miami, Florida, on 27 May 2017 and call at St. Maarten, Puerto Rico, and the Bahamas. German model and presenter Lena Gercke will christen AIDAperla in Palma de Mallorca on 30 June 2017. I’m honestly not a big fan of NCL’s all inclusive promotion. I am a big time NCL fan and have been on 9 NCL cruises but I’m not a big drinker and worry I would lose out by paying extra for the ‘all inclusive’ option. I did enjoy the UBP on my last NCL cruise though! I like the idea, and think it might become more prevalent for the British market at least. I’m not sure all-inclusive drinks is a smart move, particularly for non-drinkers, but including gratuities in the core price is great. This should be the norm across the board. I recently watched as a high street travel agent actively encouraged her clients to remove the tips, branding them an “unnecessary cost”. I’m not sure crewmembers would agree with that statement.